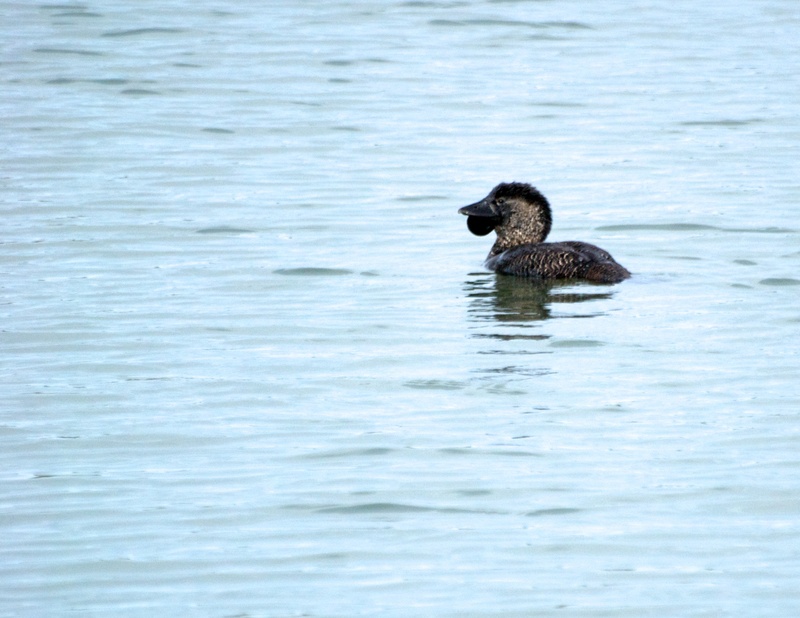 The following photographs are of a male Musk Duck (Biziura lobata) which is my first sighting of this bird. The male Musk Duck is a large powerful waterbird with a heavy thickset head with a stout dark grey triangular bill and a circular skin flap under its chin. (The female does not have this skin flap.) Its body size is about 29 centimetres. its upper body is mottled light grey while the underparts are white. A record shot of a male Musk Duck – my very first sighting of this waterbird. 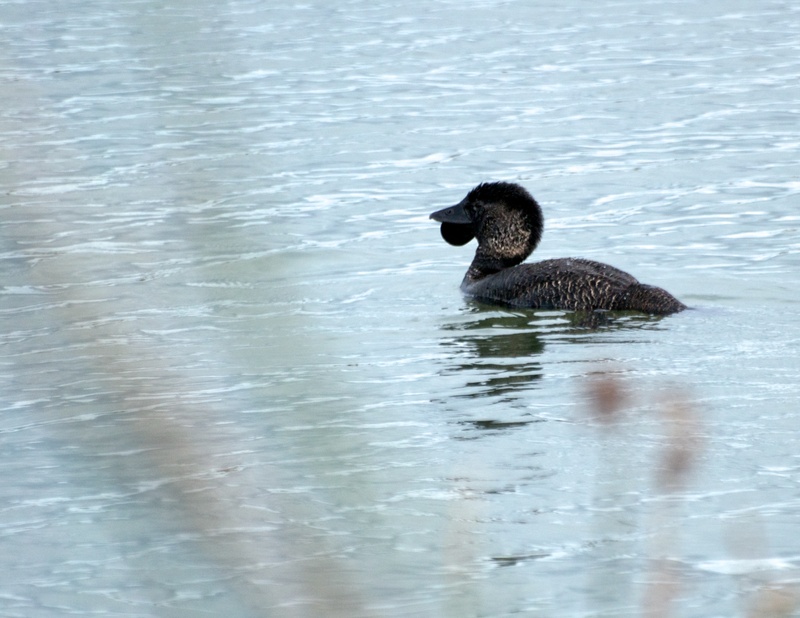 The Musk Duck will be found in permanent swamps, with dense vegetation, open lakes, bays and tidal inlets. It is rarely seen in flight but when disturbed, will thrash across the water in a cloud of spray. A male Musk Duck has a bizarre display: holding its tail spread upright and over its back while uttering a high pitched sound and splashing the water with its feet. Musk Duck – from a different view point. The breeding season for Musk Ducks is mostly from August to November with the female laying 1 to 3 greenish eggs in a cup shaped nest. The following image was created at the Botanic Gardens in Colac. It is of a Monterey Cypress (Cupressus macrocarpa) a native tree of California. 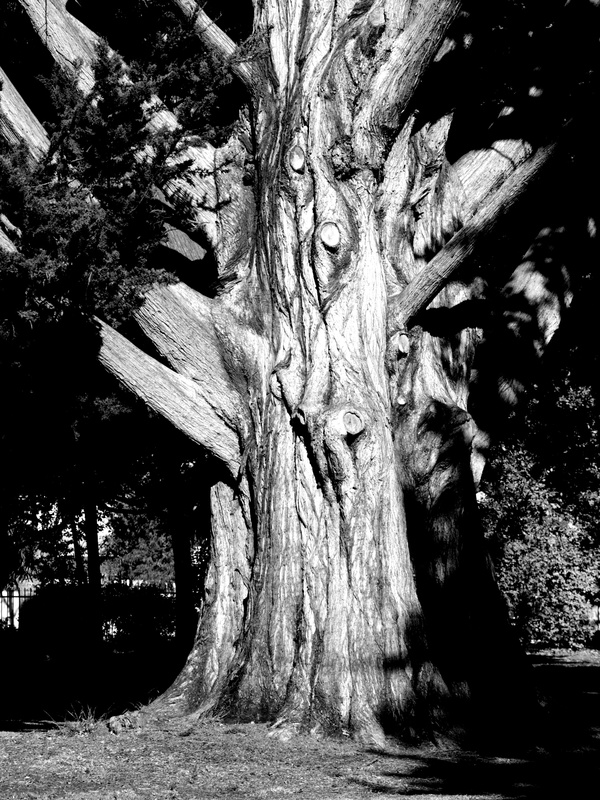 I find that tree trunks make great black and white images and that was how I saw this one.